Bhamashah card is like a social welfare single window card made in the name of woman of the household. Village Para, Ajmer: Rajasthan is among the first few states in the country that has gone almost completely online for the transfer of social security benefits to the poor by linking them with the Aadhaar card and then its own unique card, called Bhamashah. The Bhamashah card is like a social welfare single window card made in the name of the woman of the household. All rations, healthcare and welfare schemes by the state government are delivered through the Bhamashah card while the Aadhar's UID number, linked to the beneficiary's bank account, is used for online transfer of money for all central welfare schemes. These online transfers are, however, doing more than eliminating the middlemen. They are giving the poor, especially rural women, a sense of dignity and self-respect. Shanti Devi's husband has been crippled for 15 years. Her family in Ajmer's Para village has only four bighas of land and three goats. She depends largely on wages earned through MNREGA and a Rs 500 old age pension every month to survive. Earlier, the postman would come to her door and hand over her pension to any family member he could find. Now, that has changed. Old age pension for women like Ms Devi is now directly transferred into their accounts using the Aadhar card. "Earlier we would never know when our pension arrived. If we were not at home they would give it to our son or our daughter-in-law but now I can withdraw the cash Rs 100 or 200. If my daughter comes home I can offer her a cup of tea from my money," says Ms Devi, who now has a say in how her money is to be spent. Other women like her, old and vulnerable, have found a new sense of dignity and self-respect. Kailashi Ram Gopal, a widow adds, "Earlier if a poor woman received money like me, some drunkard or somebody in the family would extract the money from her, but now it can only be taken from the bank and without a card and a finger print, nobody can take it out of your bank, so the money is ours." 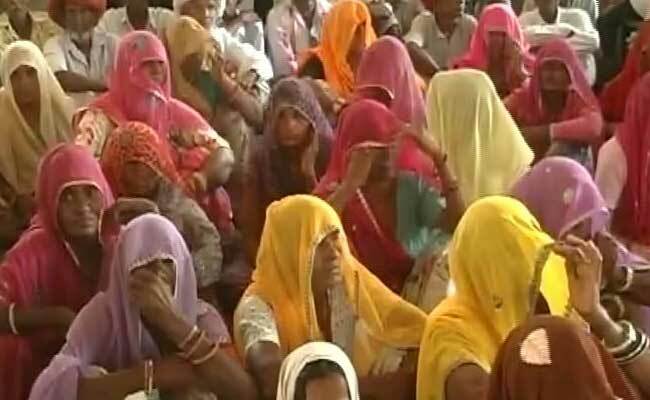 Nearly five lakh families have been linked with the Bhamashah card in Rajasthan. But it's not just pensions and rations, the online transfer of money is also helping doctors work towards bettering health indexes in rural Rajasthan. 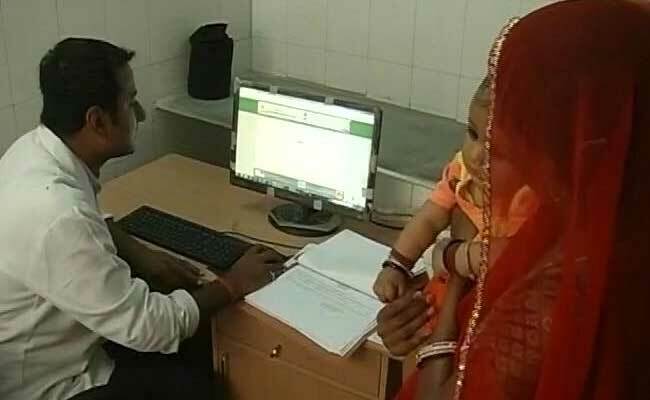 At the primary health centre in Para village, linking institutional deliveries to the Aadhar card is helping the government monitor maternal health. Women are given Rs 1,400 after delivery under the Janani Suraksha Yojana, a central government scheme. But doctors say the mother has to stay at the health centre for 48 hours to be eligible for the dole. Those 48 hours after birth are crucial to prevent both maternal and infant mortality. "Patients are not given cash or cheques, the money is transferred online to their accounts before they leave the hospital," said Dr Kaislash Chand Mittal, the Chief Medical and Health Officer in Kekdi Block. The women and their newborns will also be tracked for vaccinations and to ensure their children are enrolled in schools, there are financial incentives at each stage - all transferred online into the mother's account. "Earlier if you got cash the money could be used by anybody in the family but now it is in the mother's name so it is beneficial for us women," said a new mother, Sonia. Nearly five lakh families have been linked with the Bhamashah card in Rajasthan and the Aadhar coverage is almost 80 per cent in the state. But there are drawbacks, mainly with the link to bank accounts as more than half the state's population is yet to be linked to formal banking.